Are Israeli settlements an obstacle to peace? Lots of people say so. Bulgaria’s Mladenov said it. The EU’s Mogherini said it. And the UN has said it again and again. By why would anyone think that Jews building homes stands in the way of a peace settlement? The homes of the 10,000 Jews the Israeli government expelled from Gaza in 2005 did not stand in the way of the unilateral gesture of peace that was Disengagement. We just knocked those homes down. We left behind the greenhouses, the infrastructure for making a living, and the Arabs knocked those down without Israel’s help, rejecting the Jew-stench that apparently still clung to these structures, in favor of poverty. The homes of the 7,000 Israelis expelled from Sinai in 1982, similarly did not stand in the way of Israel’s peace agreement with Egypt. Some say the problem is that building homes expands existing settlements. But this is not so. Settlement boundaries are already defined. Building more homes within those boundaries doesn’t expand them. The boundaries remain the same. And the settlements that are within the consensus as belonging to Israel in any peace agreement, retain their dimensions whether or not Jews build homes therein. The real issue is that when Jews build homes in Judea and Samaria, their numbers increase in the land. The issue isn’t limiting homes, but limiting Jews. Which is antisemitism. Well, yes. But so what? In what sense does this prevent the parties from sitting down at the negotiating table? Jews building homes on land Arabs want, doesn’t stop Arabs from demanding more land. And Jews building homes on land Arabs want, doesn’t stop Jews from being willing to sit down and discuss land giveaways. None of this stops anti-Israel Jews like Peter Beinart from pulling a stern face when referring to the building of homes for Jews in Judea and Samaria. Because he wants what the Arabs want and not what the Jews want. He wants the land Judenfrei. JINOs like Beinart want what Arabs want because Arabs are brown people they see as victims. People like Beinart feel better when they do nice things for the downtrodden. Beinart and his ilk like to identify victims and feel bad about them. They like to see themselves as self-sacrificing heroes. So they demand that Jews living where they themselves don’t live, give up their homes for the people they see as victims. As for Jews like Naomi Chazan or Amira Hass, the Israeli versions of Peter Beinart, settlers are a breed apart from “normal” Israeli Jews like them. Settlers are vermin, while they sit in their high tower, as Beinart sits in America, pointing a finger at the nasty settlers. From their perspective, settlers are like Nazis seeking Lebensraum in Czechoslovakia, a land not their own. These high and mighty Jews see the settlements as a colonialist project. But Judea and Samaria are the indigenous lands of the Jewish people and always have been. The idea that the land is not Jewish land betrays a preference to ignore ancient history in favor of modern revisionist history that shuts Jews out and lets Arabs in. The truth is, building homes for Jews is not a crime, never was, and never will be. Building homes is just creating shelter. 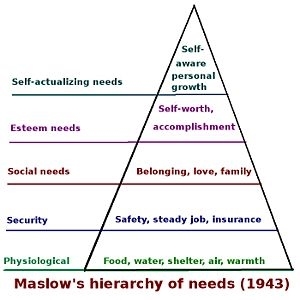 It’s part of Maslow’s hierarchy of needs, which ironically, is a psychological theory proposed by a Jew, which recognizes that people have basic needs. Like shelter. Shelter doesn’t hurt anyone. And a Jew deserves a home as much as the next person. Homes don’t get in the way of peace negotiations. And Jews don’t contaminate territory. They’re human beings like all other human beings. The only difference is that God gave them the Torah and the Land of Israel. Which hasn’t stopped them from sitting down with the Arabs in peace negotiations. And it appears it never will.